Remember the “Durrrr Challenge”? Well, that’s apparently back on. Tom “durrrr” Dwan and Dan “jungleman12” Cates had been squaring off in a heads-up duel prior to Black Friday in April 2011, but when (old) Full Tilt Poker feel into hot water with the U.S. government their “challenge” was put on hold. Fast forward about two years and Cates was getting anxious about restarting the battle (he was winning more than $1.2 million when things shut down). Cates even went as far as to call out Dwan on Twitter in March, accusing him of being unmotivated about resuming their high-stakes online match. On Monday, the two digitally sat down for some action for the first time in what seemed like forever. It wasn’t a fireworks display like many fans of high-stakes online poker might have hoped for. The two played just a few hundred hands or so, according to Cates and Dwan’s chat log. Dwan estimated that he was up a measly (for them) $158. The exact figures appear to be unknown right now. About 20,000 hands have been played so far, out of the 50,000 requirement. The reason these challenges were so attractive to Dwan’s opponents is because he offered them odds. 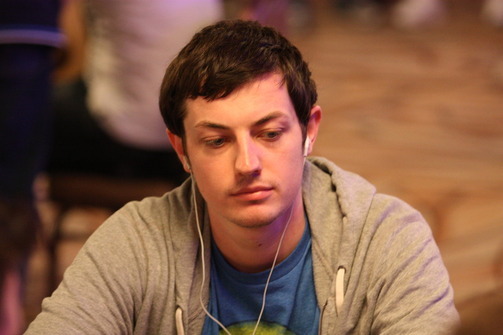 If Dwan is up any amount at the conclusion of 50,000 hands his opponent has to pony up an additional $500,000. If Dwan is down at all after 50,000 hands he must fork over $1.5 million. Those bonuses are in addition to whatever was won and lost over the 50,000 hands. What was once an exciting proposition for the high-stakes poker world has slowly become a irritating snooze fest. However, now that there is proof that Dwan and Cates are on the same page about (perhaps) finishing, action could pick up. The pair are battling at $200-$400 no-limit hold’em, stakes which have potential to produce some interesting pots. Cates was optimistic that the lightening fast session on Monday will bring on some more action soon. well that was fast… but I think @tomdwan and I will get a good game soon. Is The Durrrr Challenge Back On In 2017?